Flagger Force Traffic Control Services was named one of the Top 50 Fastest Growing Companies in Central Pennsylvania yesterday. Central Penn Business Journal’s Top 50 Fastest Growing Companies program identifies the region’s most dynamic companies that have made significant contributions to the strength of our local economy. To be eligible for this recognition, companies were required to show revenue of at least $500,000 in each of the fiscal years ending 2015, 2016 and 2017. For-profit entities that are headquartered in Adams, Cumberland, Dauphin, Franklin, Lancaster, Lebanon, Perry or York County were eligible for nomination. Flagger Force and the other 49 honorees will be recognized at an awards breakfast on Monday, September 17, 2018, when their ranks will be revealed. 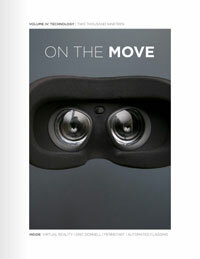 To view the alphabetical list of the winners, visit www.CPBJ.com/events. 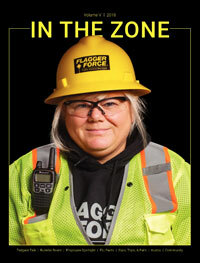 Flagger Force Traffic Control Services provides safe, quality work zones throughout the Mid-Atlantic Region. Flagger Force provides careers to more than 1,600 full-time employees with a 24/7 operational capability and two-hour emergency response time. Flagger Force Keeps Communities Moving safely through work zones, while their clients work to keep the power on, water flowing, and bridges safe for the traveling public on a daily basis, but they also support the communities they work and live in by donating time, resources, and dollars to local organizations. The company is a certified women business enterprise by the Women’s Business Enterprise National Council (WBENC). To learn more about Flagger Force, visit FlaggerForce.com.